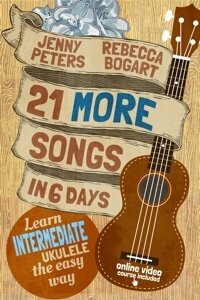 Here’s where you’ll access the lesson videos to help you learn 21 MORE songs in 6 days. We hope you’ll visit often. Click on the tabs on the left side of the screen to get started learning intermediate ukulele the easy way.